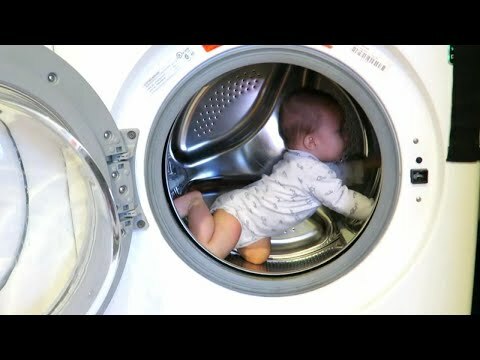 Kids climbing into the washing machine is a hidden danger many parents don’t think about. But once that door closes there can be tragic consequences. Alan and Lindsey McIver of Denver are now issuing an urgent warning to parents about the dangers after their toddler nearly lost her life inside a washer. “By the time we reached the laundry room in the basement, my 3-year-old daughter Khloe was locked inside the airtight washing machine,” they wrote on Facebook.